Saturday, September 15, 2018 - A controversial South African prophet is in hot soup after 6 members of his church lost their lives after he forced them to drink jik during a miracle service. 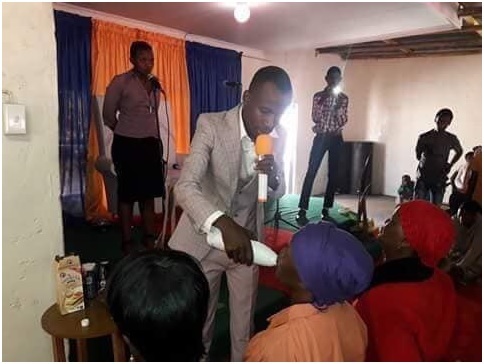 The South African Prophet who is known as Prophet Rufus Phala, ordered the brainwashed congregants to test their faith and receive instant miracles by drinking jik. The gullible congregants followed their pastor’s instructions and ended up losing their lives.